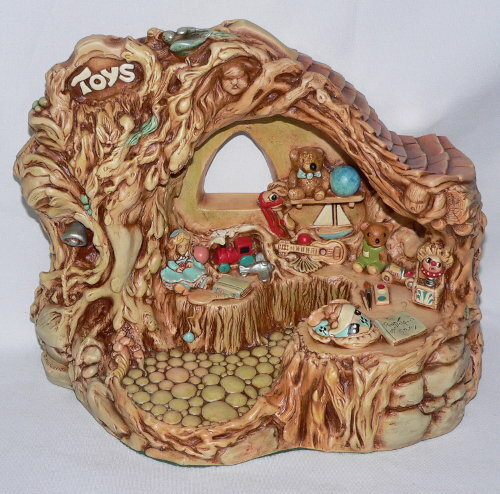 PenDelfin Toy Shop display stand designed by Doreen Noel Roberts. 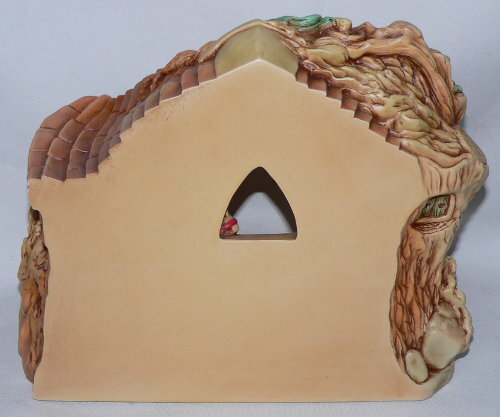 This PenDelfin stand was only produced by the PenDelfin Studios from c1992 until 2000. The detail on this PenDelfin stand is amazing featuring a wide selection of toys and games including a miniature PenDelfin Snuggles rabbit! 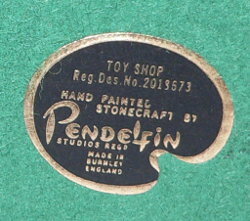 On its base this PenDelfin stand has his green felt and PenDelfin artist palette Toy Shop label. Excellent overall condition. A really lovely PenDelfin display stand, perfect for the PenDelfin Jacky rabbit!